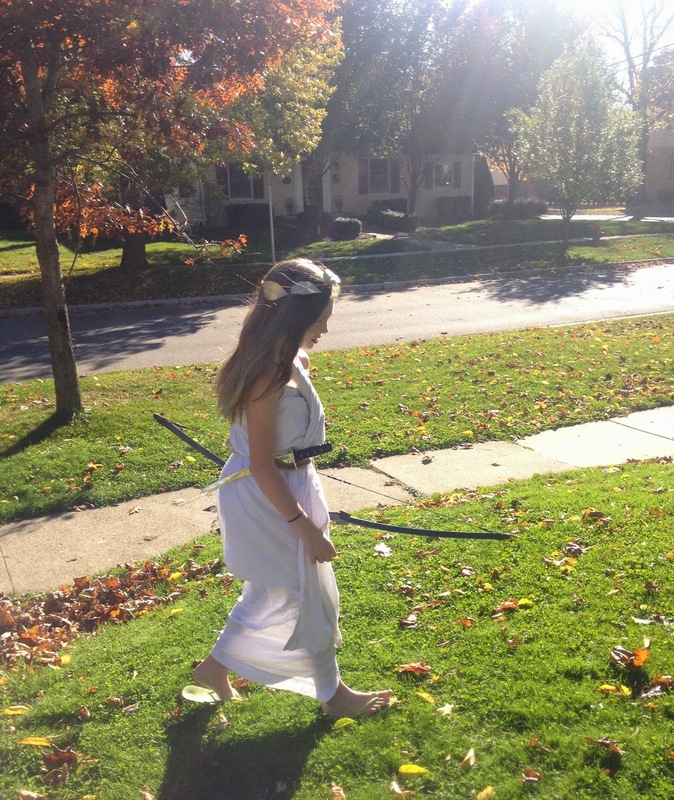 In a world full of inappropriate Halloween costumes for girls and women, I was particularly pleased when Lucy informed me she wanted to be Artemis, the Goddess associated with protecting chastity and purity. I mean right? Last year I encouraged Lucy to pay homage to strong, interesting women from the past like my favorite Frida Kahlo or Amelia Earhart. She wasn't feeling it and decided to be a pirate. This year, I didn't encourage or suggest anything, Lucy came to me on her own and asked if she could be a goddess. 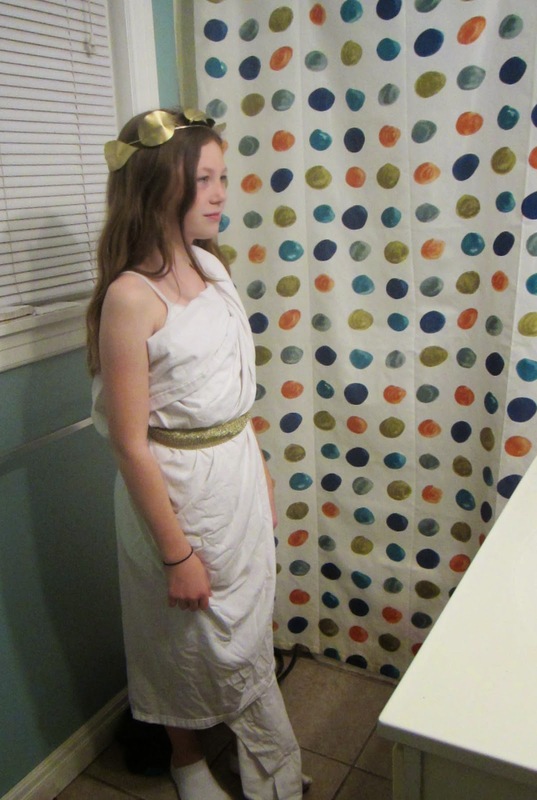 She has been obsessed with mythology since reading all the Percy Jackson books this past summer. I asked her why she liked Artemis and she said because "she is sort of really strong on her own and doesn't need men and she protects children and hunts animals and kills anyone that sees her naked." Wow. That led to a conversation about what feminism is and how women don't have to dislike men to be pro-woman and pro-equal rights and equal pay. It.Was.Fascinating. We talked about beauty and self-respect and modesty. It was one of those conversations if you planned it, it wouldn't have worked out, it would have been weird and uncomfortable. This was one of those spontaneous you better put down the iPhone and pay attention because there's a real connection happening kinds of conversations. 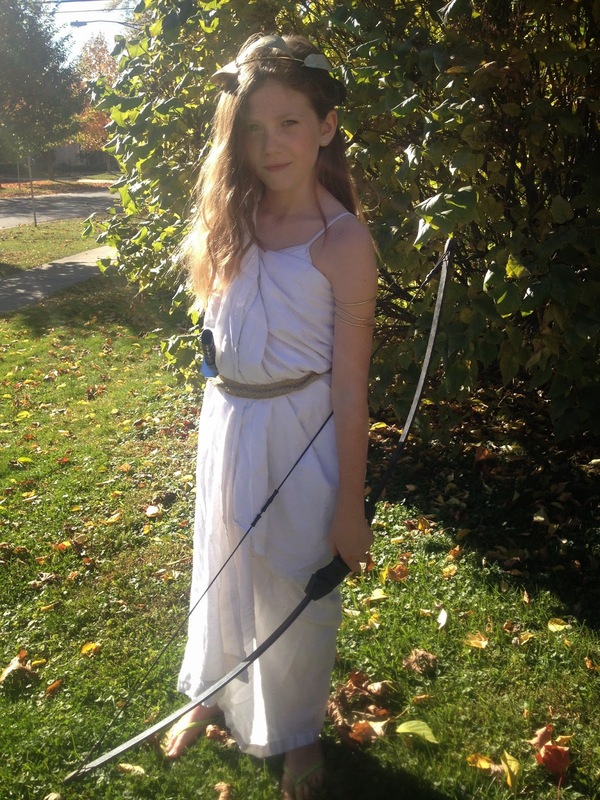 I was feeling very proud and possibly a bit cocky, like I was a pretty great mom until I saw her face when I told her I was going to "make her the best Artemis costume ever." All the excitement and energy she had turned into frustration and disappointment. "You? You are going to make it?," she asked. "Can't we buy one? Please?" "Ye of little faith, I will show you," I said matter-of-factly in a bad Scottish/Irish accent for no reason other than I love accents. "You are going to be one fierce Artemis, I promise." I promised matter-of-factly in a bad accent without a plan or any extra costume making/buying money. 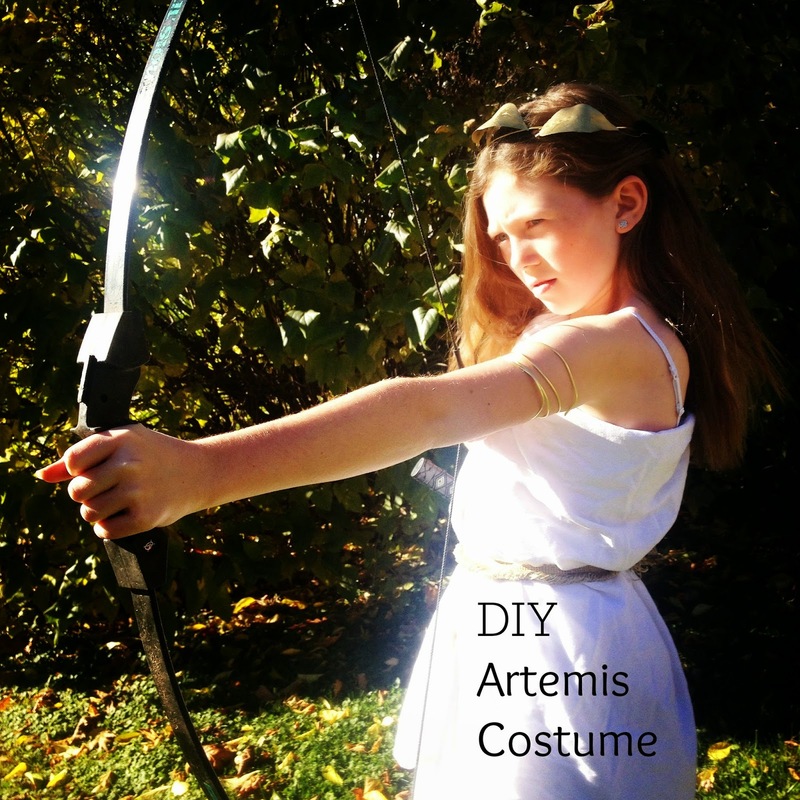 So, today's Pinterest Poser Challenge* is an inexpensive DIY Fierce Artemis Costume. After scouring Pinterest and YouTube, I put a costume together and I'm actually super excited about how it turned out. And I'm even more excited because Lucy loves it. 1. I used my trusty snowman scissors to cut the leaves off the branch. 2. Lucy and I spray painted both sides of the leaves. 3. While the leaves are drying, measure the thick-ish wire around the chosen goddess' head and use wire cutters to make it the right size. Wrap the thin wire around the open ends to hold it together. 4. Then thread the thin wire through two sides of the leaves and wrap them around the crown. Secure the thin wire by wrapping the edges around the back of the crown. Use as many leaves or as little as you like. 1. Wrap around the body and safety pin it together. Use the extra and twist into a rope and drape over the shoulder and pin to the back. 2. Honestly, do whatever you can and pin wherever you can to make it look like a dress. I watched tutorials and ended up doing my own thing. And each time I did it on Lucy, I did it differently. Just make sure the pins are secure, everything is covered and the sheet isn't too long and your goddess won't trip while trick-or-treating. 1. Tie gold ribbon around the waist. Done. 1. wrap the extra thick-ish gold band around her arm several times. Then use the wire cutters to bend the ends so they won't scrap or scratch or pinch your goddess. 1. Stand your goddess in front of a mirror and tell her "I told you I'd make you a fierce Artemis." Yeah, go ahead and gloat for a minute. And then just be so happy that she's happy. 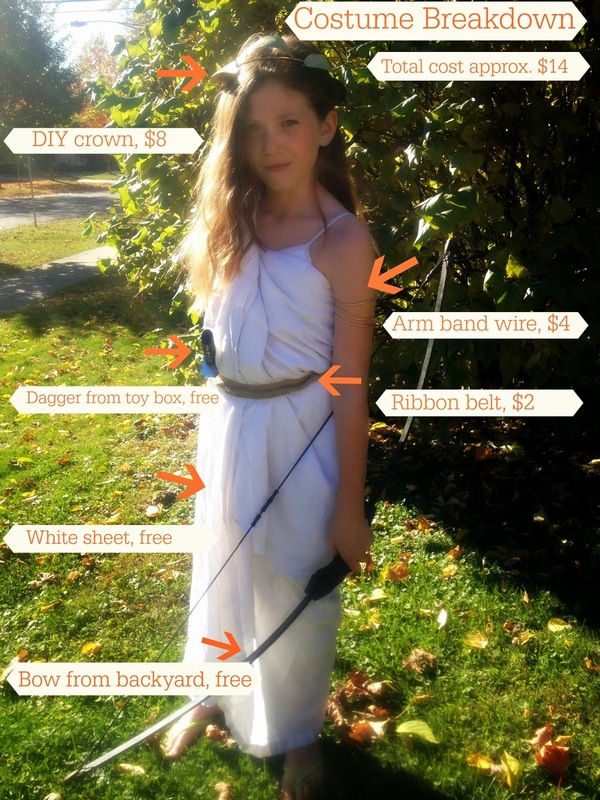 We accessorized with plastic weaponry we happened to have around our house-- a bow, a dagger. What are your kids dressing up as this Halloween? Did you make their costumes? This is an AWESOME costume. Cady is going as Alice in Wonderland, and yes, I had to make her costume too. She has outgrown the "kid's" sizes and no way in the world was I letting her wear one of those adult costumes. 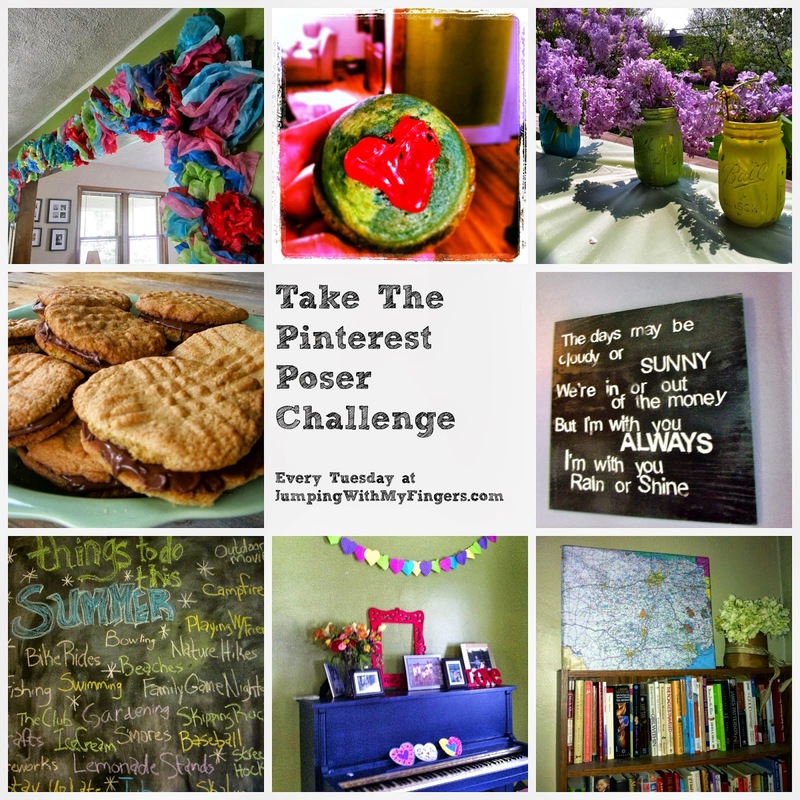 Awesome - way to go! I love DIY costumes. So much better than store bought! This will be my last year making a costume for either of my kids - I stop after 6th grade (totally arbitrary decision on my part). After this year they will both have to mix and match out of what we have in the costume bin - they have plenty to choose from. So awesome! I love that she loves it. I always put together the kids' costumes, thinking it will be cheaper. It rarely is, but I get a storage satisfaction from it.